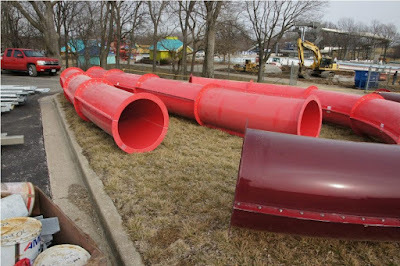 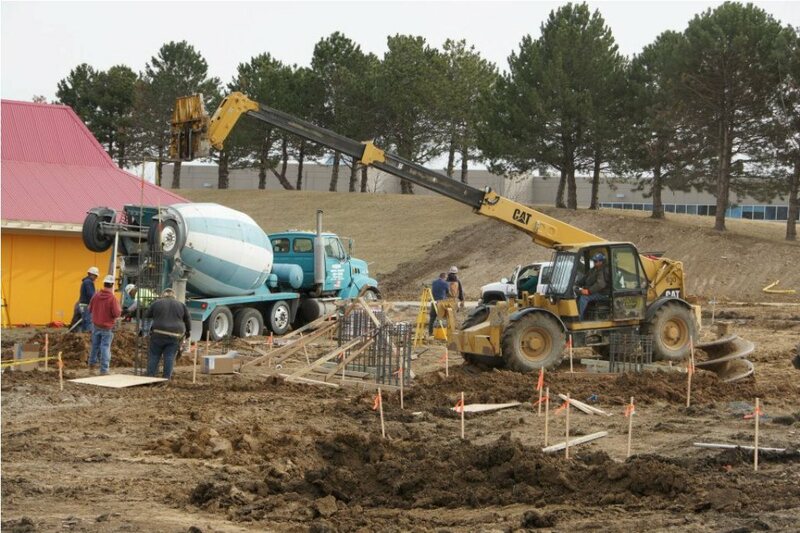 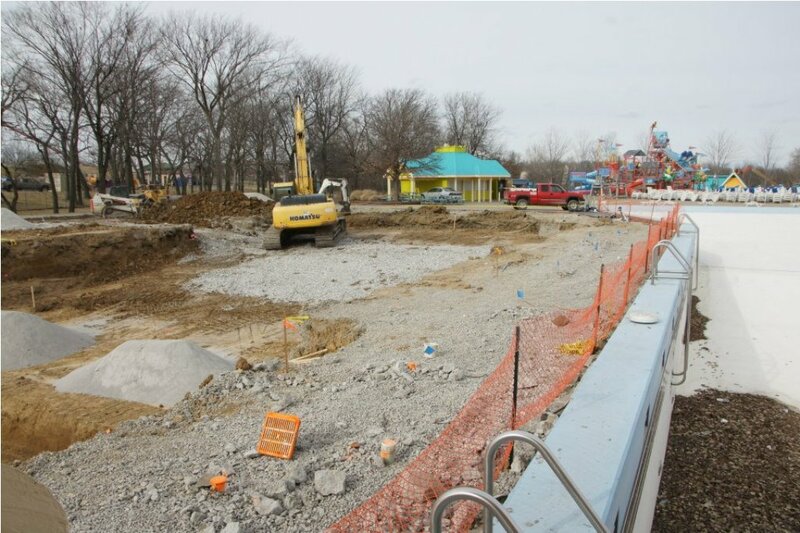 Time to check in on the progress at Oceans of Fun. Here is an aerial view of the work zone. 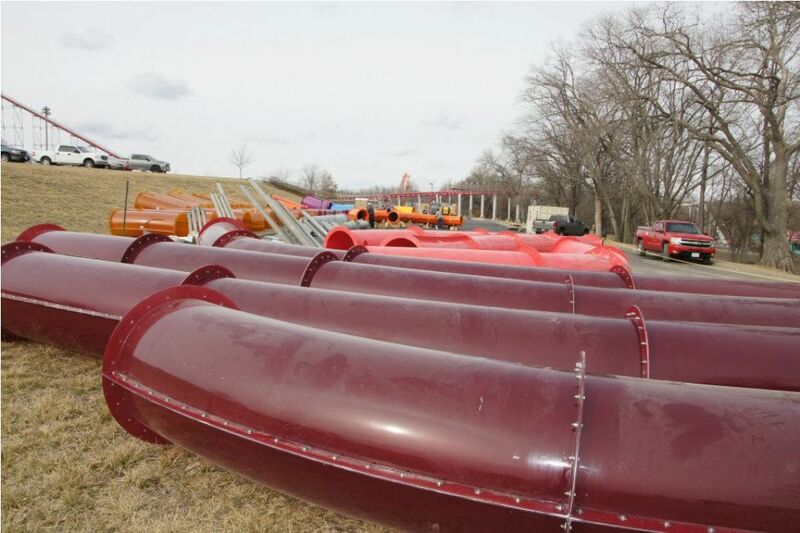 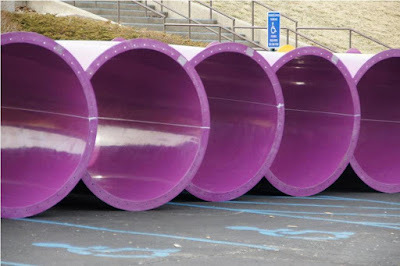 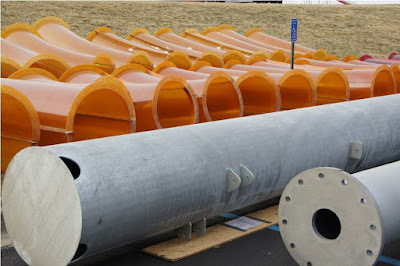 You can see the slide parts out in the parking lot. The new run out pools are pretty close to the wave pool. Pylons are being made for the tower. 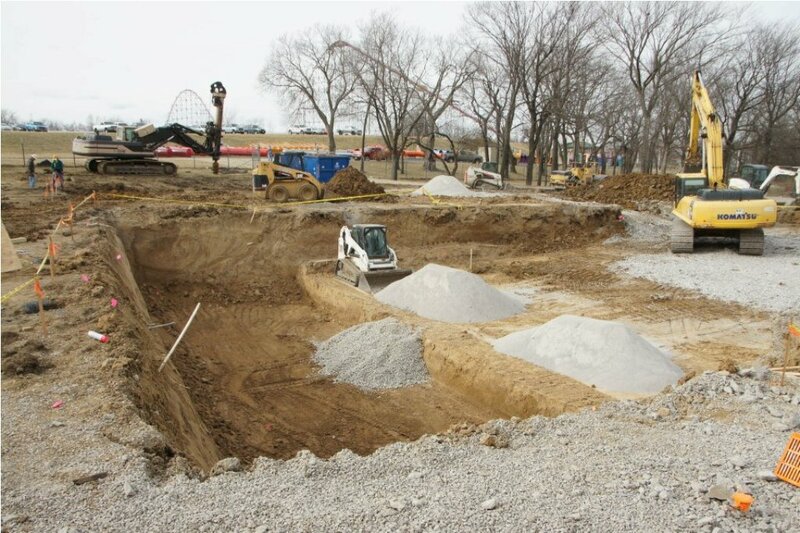 You can see the run out pools being dug. 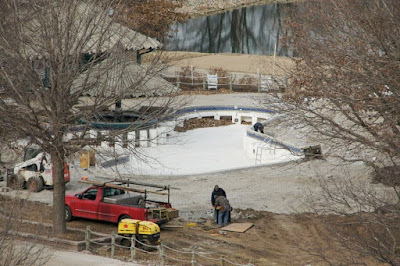 You can see how deep the pool is comparing it to the Bobcat. 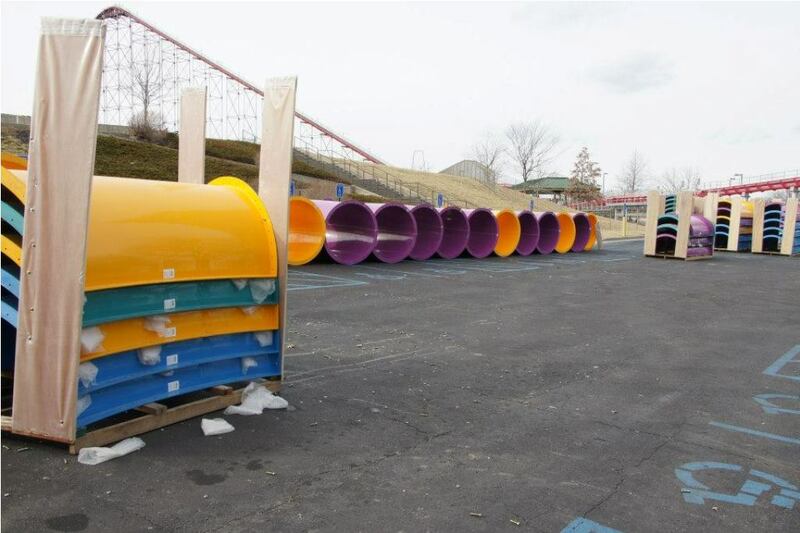 The slide parts are slowly being put together. 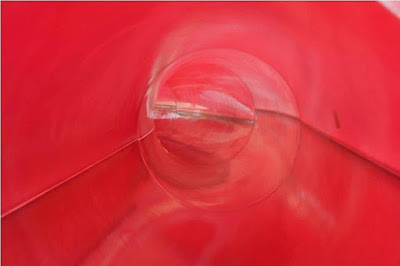 You can see that acrylic tubes let in light so you can see as your slide. 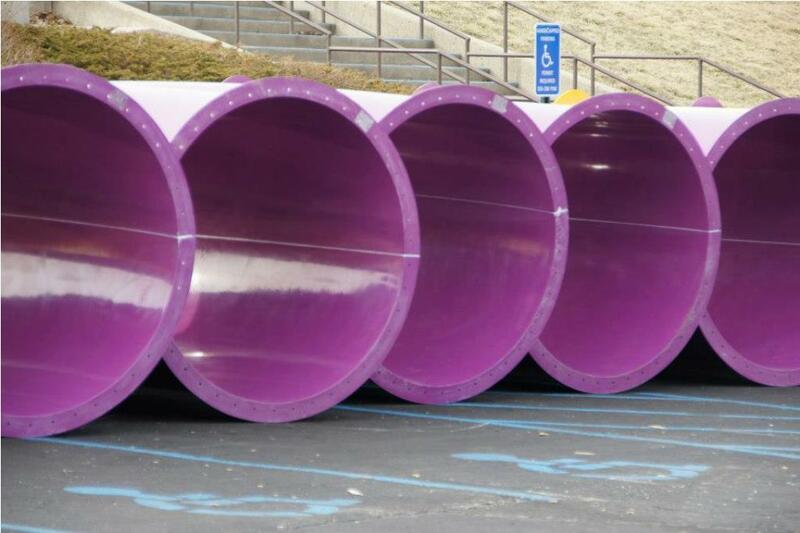 These will be the drop capsule body slides. There will be three different slides. Work continues on expanding the sun deck at the adult pool. 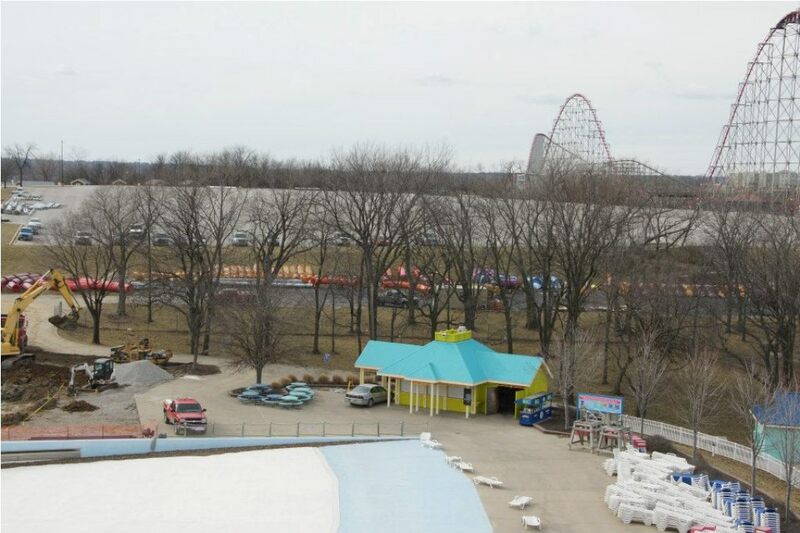 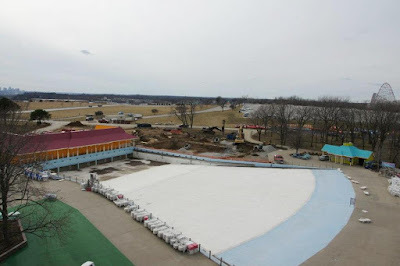 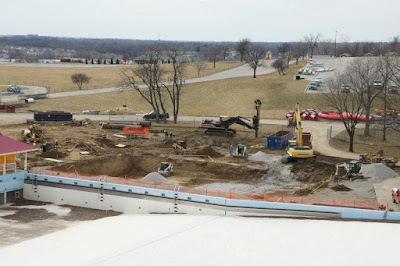 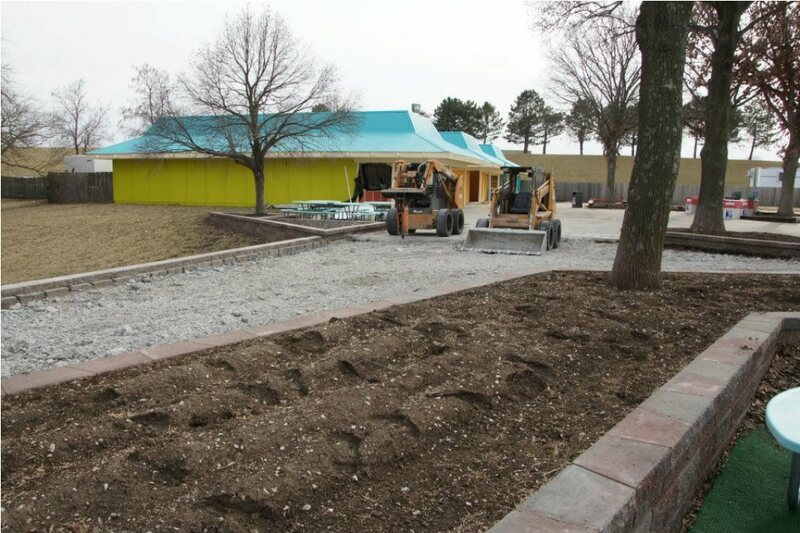 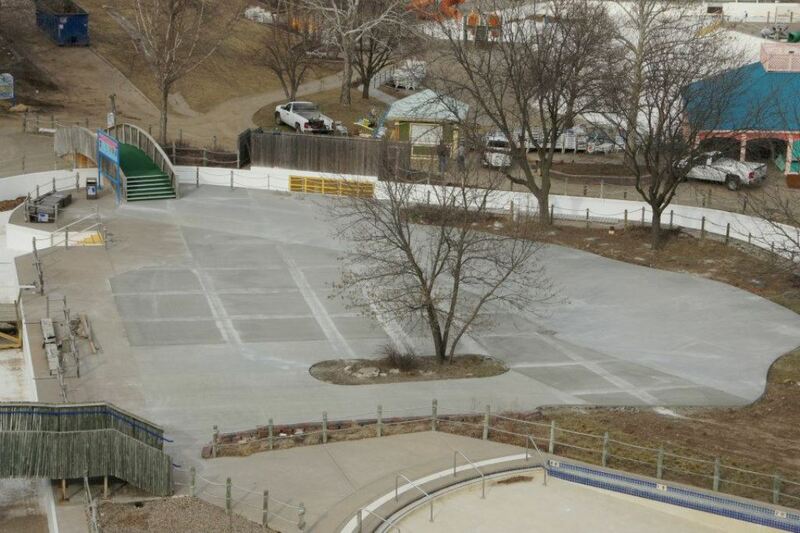 Landscaping work around the wave pool. 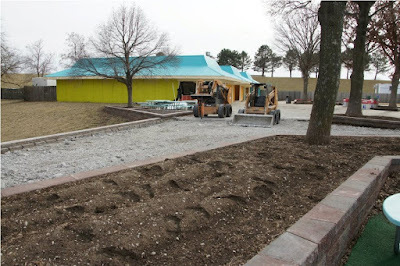 Landscape work by Coconut Cove. 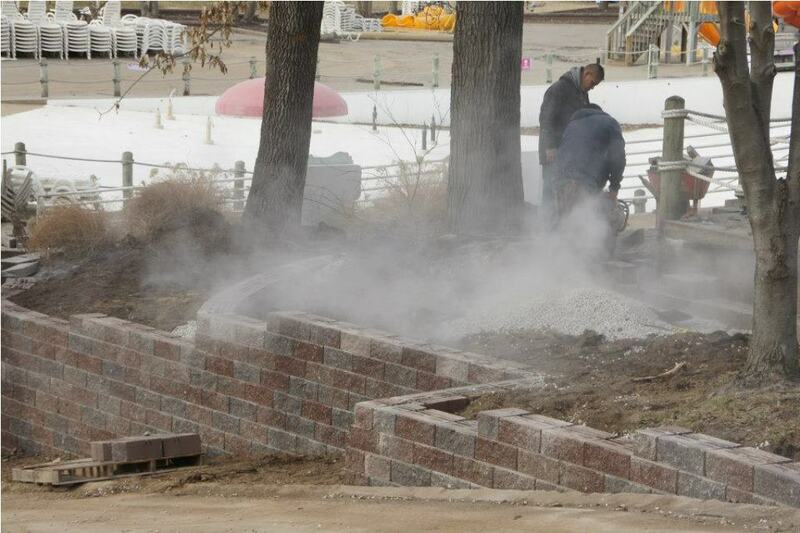 Painting in the main plaza area. 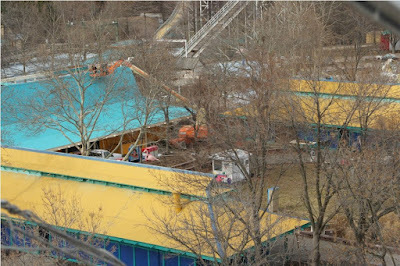 The newly expanded sun deck near Hurricane Fall's exit.